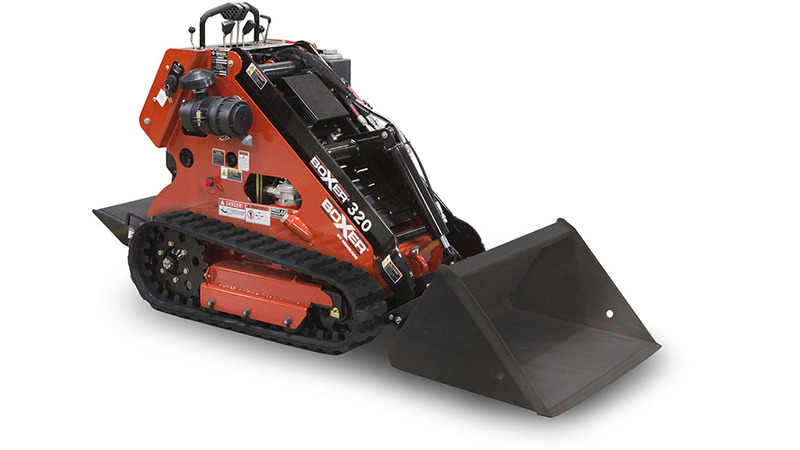 Boxer Equipment develops a wide range of lightweight yet heavy-duty machines that generate an impressive amount of hydraulic power to lift more, move more and dig faster than any other product on the market. The choice of contractors and rental organisations, the Boxer is one of the most versatile, reliable and productive traction units in the world. 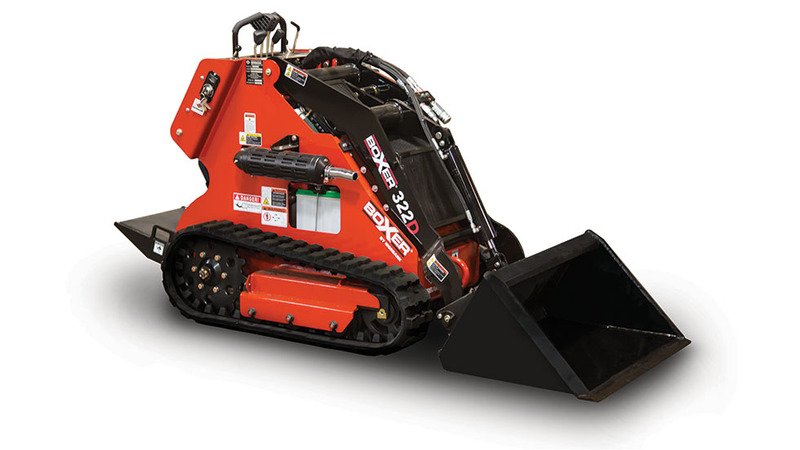 The Boxer compact utility loader is an innovative machine that reduces the costs of performing key tasks and the process of improving the environments in which people live and work. 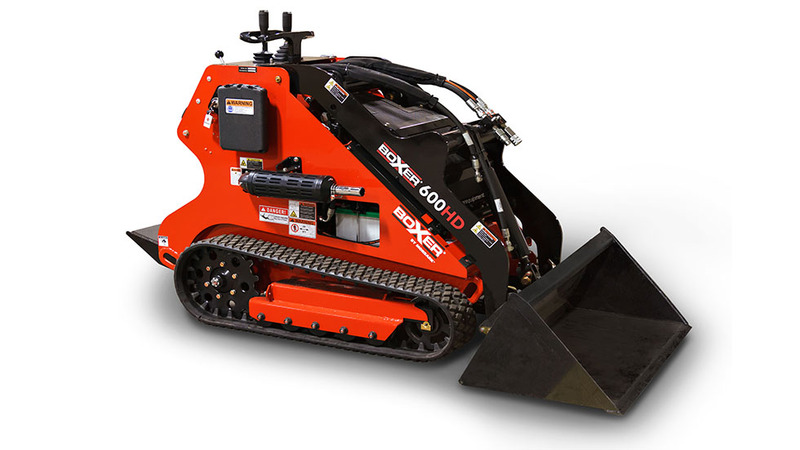 Developed to replace hand labour, the Boxer provides a cost-effective, terrain-friendly solution for landscapers, irrigation contractors, plumbers, electricians, and property owners as they dig, trench, till, auger, demo, place materials, and perform a multitude of other tasks. 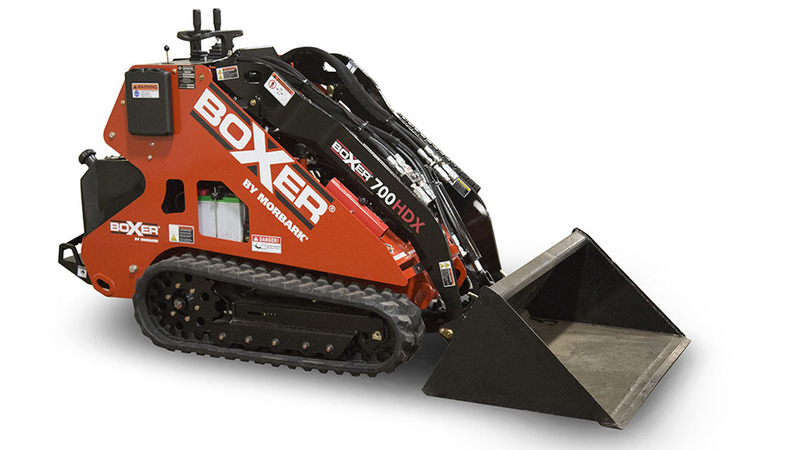 Boxer Equipment has 4 skid-steer models available 300, 500,700 and 900 series compact utility loaders, built to handle a full complement of more than 50 universal attachments. The Boxer’s standard quick-attach system enables the user to quickly and easily switch from a bucket to forks to auger or other tools for optimum on-the-job flexibility and bottom-line performance.